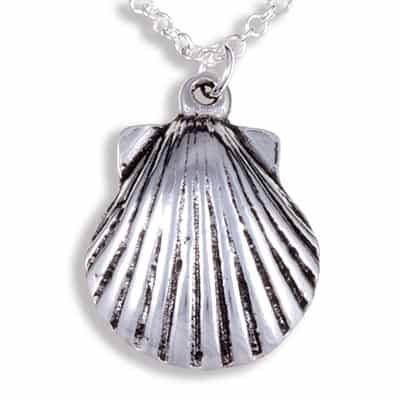 The scallop shell is a symbol used for the pilgrim route from St. Michaels Mount to Santiago de Compostela in North West Spain. Earrings width: 18mm, Length 38mm (incl. sterling silver hooks). Pendant width: 20mm Height 25mm Chain length is 18 inch (45cm).